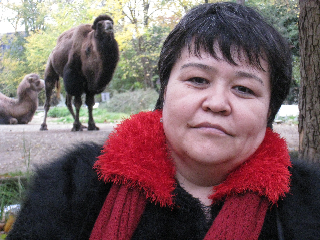 Mutabar Tadjibayeva is remarkable, even among human rights defenders. 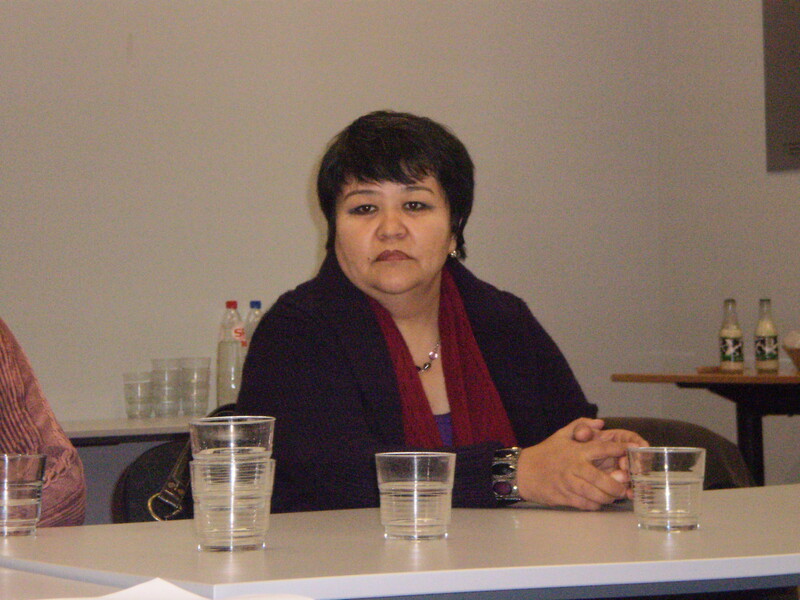 Her story is well-known in human rights circles: arrested, detained and tortured in Uzbekistan’s prisons, she was released on medical grounds and allowed to leave the country in 2008. That year she came to Geneva to receive in person the Martin Ennals Award for Human Rights Defenders [see: http://www.martinennalsaward.org/index.php?option=com_content&view=article&id=73&Itemid=116&lang=en and https://thoolen.wordpress.com/tag/mutabar-tadjibayeva/]. In advance of your meeting with Mr. Abdulaziz Kamilov, Minister of Foreign Affairs of the Republic of Uzbekistan, we write to encourage you to urge the Uzbek government to sincerely address the serious, systematic and ongoing human rights violations of the Uzbek people, including the situation of civil society activists, religious prisoners, transparency and openness in France-Uzbekistan dialogue, the recent undemocratic initiatives of president Karimov to amend the Uzbek Constitution, and state-orchestrated forced labour of children and adults during annual cotton harvesting season. 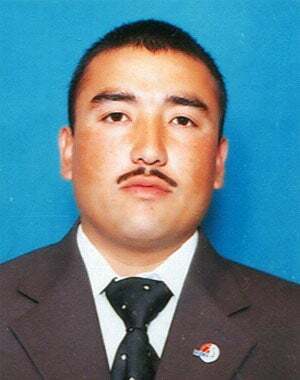 In your meeting with Mr. Kamilov we urge you to raise the situation of imprisoned civil society activists who make up one of the most vulnerable categories of inmates in the Uzbek penitentiary system. The number of imprisoned civil society activists has remained almost unchanged for many years because of two reasons: there are not so many independent civil society activists operating in Uzbekistan because of the government’s continued repressive policy and ongoing persecutions against the activists, and in place of one released imprisoned activist the government tends to send to jail two more civil society activists. Different independent observers and international rights groups mention from 15 to 30 civil society activists who remain in prison. Our organization has studied well the cases of at least the following civil society activists who were sent to jail under trumped up criminal cases and who are serving their lengthy prison terms: Murod, Juraev, Solijon Abdurakhmonov, Azam Farmonov, Mehriniso Hamdamova, Zulkhumor Hamdamova, Isroiljon Kholdorov, Nosim Isakov, Gaybullo Jalilov, Abdurasul Khudoynazarov, Erkin Kuziev, Ganikhon Mamatkhonov, Zafarjon Rakhimov, Yuldash Rasulov, Dilmurod Saidov and Akzam Turgunov. Whereabouts of journalist Jamshid Karimov who has been kept forcedly in a psychiatric clinic for five years and then released in 2011 is unknown. Soon after his release from the psychiatric clinic he has disappeared. His colleagues suggest he has been forcedly placed into the psychiatric clinic again. We urge you to raise the issue of the above mentioned political prisoners in your talks with the Uzbek Minister and call on the Uzbek government to immediately release those civil society activists from prison out of urgent humanitarian concerns. But specifically we urge you to request immediate release of the following imprisoned civil society activists who are elderly and experiencing dire health problems: Murod Juraev, Dilmurod Saidov, Solijon Abdurakhmonov, Agzam Turgunov, Ganihon Mamatkhonov and Mehriniso Hamdamova. 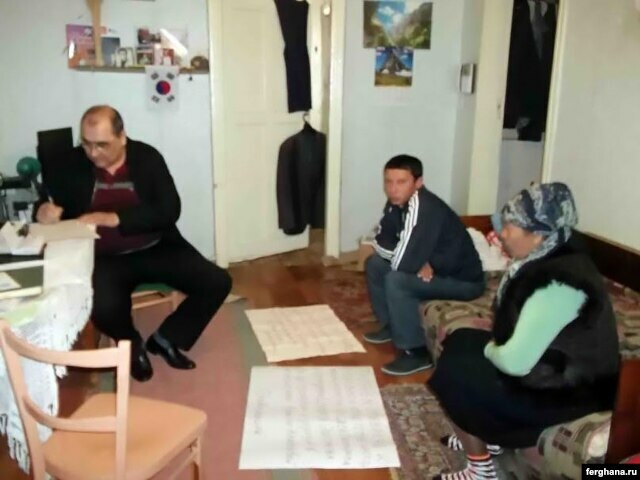 In February several human rights defenders from Uzbekistan were allowed by the authorities to visit Murod Juraev, Dilmurod Saidov, Solijon Abdurakhmonov and Agzam Turgunov in prison. The visits have confirmed their poor health conditions and lack of access to proper medical treatment in prison. 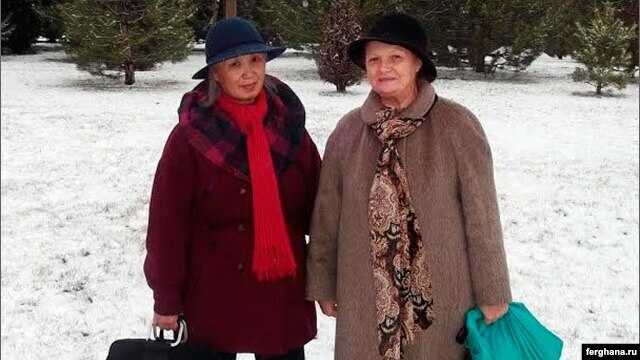 The fact that the Uzbek activists were allowed by the authorities to visit the imprisoned colleagues is unprecedented but we don’t yet what underlying reasons have pushed the Uzbek authorities to do so. Nevertheless we can accept this fact as a good sign. Ganikhon Mamatkhonov, another elderly human rights activist, who was convicted under trumped up criminal charges in 2009 to 4,5 years was expected to leave the prison on March 10, 2014 because his prison term ended. But on the eve of his release the prison administration has accused him of disobeying orders and rules of prison administration and put into a solitary confinement. Mamatkhonov has experienced heart attack three times, the last time it happened during his detention. We think the Uzbek authorities have deliberately accused Mamatkhonov of disobeying prison orders and rules and sent him to a solitary confinement in order to prolong his prison sentence. This is a popular method used by the Uzbek authorities to keep “unwanted” inmates in prison under prolonged sentences. For instance, an opposition activist Murod Juraev was convicted to 12 years in prison in 1995, but his sentences ever since been prolonged up to four years each time in 2006, 2009 and 2012. An inmate accused of disobeying prison orders and rules becomes automatically non eligible for annual amnesty acts. Mehriniso Hamdamova is a women religious scholar and activist convicted to 7 years in prison in April 2010. She has hysteromyoma and needs an urgent surgery. This type of surgery and post-surgery medical treatment can’t be provided in prison. During your talks with Minister Kamilov we urge you to call on the Uzbek authorities to immediately release the above mentioned small group of political prisoners out of humanitarian concerns. We also take this opportunity to stress that the Uzbek authorities keep sending more civil society activists to prison under clearly trumped up charges. In 2013 Bobomurod Razzakov of “Ezgulik” Human Rights Society was sent to prison. In March 2014 two members of “Erk” political opposition party Fakhriddin Tilloev and Nuriddin Jumaniyozov were convicted to 8 years and 3 months in prison. Under religious prisoners or prisoners of conscience we understand those inmates who are convicted for religious extremism, fundamentalism, terrorism, crimes against the constitutional system. Today religious prisoners are the most vulnerable massive group of inmates in Uzbekistan. Numerous accounts of independent observers point out that the vast majority of the religious prisoners were convicted to lengthy prison terms as a result of self-incriminating confessions extracted under torture and similar ill-treatment. Among them there are many family members and close relatives. The government policy against religious extremism targets in most cases peaceful religious practice and is based on a primitive maxim that if there is one religious extremist in the family, then all members are automatically labeled as extremists. For most religious prisoners torture and similar ill-treatment continues even when after they are convicted and sent to prison facilities for serving their sentences. They rarely fall under annual amnesties, in most cases the authorities accuse them of disobeying prison orders and rules and prolong their sentences. Independent observers think there are from 6.000 to 10.000 religious prisoners but this data can’t be corroborated because the penitentiary system in Uzbekistan is completely closed. The issue of religious prisoners and gross human rights violations they are facing does rarely become a subject of discussions between Uzbekistan and its international interlocutors because of its sensitive character but we think France should be concerned with this issue as well if the bloc cares about the security situation and human rights in this Central Asian nation. In its dialogue with the Uzbek government France should be careful to be dragged too much to different ends affected by the various views among the EU member-states. This trend could continuously affect the implementation of the EU strategy towards Uzbekistan because of the lack of precise set of benchmarks which makes independent monitoring / evaluation difficult. Moreover, we are afraid that the whole process of the dialogue between France as well as the EU and Uzbekistan has mostly been an “insiders’ game” and elite driven, neither France and the EU nor the Uzbek government have consulted members of the civil society organizations (CSOs) in Uzbekistan. Lack of public information over France’s and the EU’s strategy and relations with Uzbekistan logically leads into a virtually non-existent public awareness of it in Uzbekistan. Information on the France and the EU – Uzbekistan dialogue is kept behind closed doors meetings. its own regular role in a new framework as well: each time an important international interlocutor (e.g. the UN or EU) adopts a set of specific recommendations addressed to the Uzbek government, the Uzbek authorities respond by adopting a National Action Plan on the implementation of the recommendations. No practice changes in the end. In advance of expected parliamentary and presidential elections in December 2014 and March 2015 Uzbek president Karimov has initiated amendments to articles 32, 78, 93, 98, 103 and 117 of the Constitution. The government controlled mass media reported about the president’s initiative on March 14, 2014 but the substance of suggested amendments to the constitutions was missing in publications. However quick analysis of the suggested amendments demonstrate that the president is most probably aiming at amending the constitution to allow himself to be appointed as a life-time president through a referendum. Moreover, he has already used such tactic of entrenching himself in the power in the past several times during presidential elections and referendums he has himself orchestrated in the past. There is also a bad precedent in the Central Asian region – Nazarbaev of neighboring Kazakhstan has appointed himself a life-time leader through similar constitutional amendments without any hesitation several years ago. We think the EU should be concerned seriously with such trends in the political life of Uzbekistan which further entrenches an authoritarian system in the country and further increases political uncertainty with security situation in this Central Asian nation. Despite continuous international protests and criticism the Uzbek authorities keep on practicing massive state-orchestrated forced labour of children and adults during annual cotton harvest season. In the fall of 2014 as well the Uzbek authorities forced more than million of different groups of citizens, including schoolchildren, students, teachers, personnel of medical facilities, owners of small and medium businesses, to harvest cotton in abusive conditions under the threat of punishment. As in the previous years during 2014 cotton harvest season independent observers have again documented over 10 cases of death in the cotton fields of the people forced to this type of labor mainly because of failing technical and labor security standards, incidents and lack of proper medical treatment. The Uzbek authorities kept harassing local activists and journalists who tried to report on the issue. Gulnara Karimova (pictured above), the glamorous daughter of Uzbekistan’s president, used to be one of the more powerful people in Central Asia. But now, in secret recordings obtained by the BBC, she says she and her teenaged daughter are being treated “worse than dogs” and need urgent medical help since she has fallen out with her dictator father President Islam Karimov. The BBC news correspondent Natalia Antelava on 21 August reports on this exceptional story. Natalia Antelava reports that in March 2014, she received and authenticated a handwritten letter from Karimova, in which she said she and her daughter had been placed under house arrest and now the short audio recordings were smuggled out of Uzbekistan.